Wicanders Hydrocork is the first Corktech low thickness floating floor. Created to be only 1/4” thick, it can be easily be laid on top of almost any existing surface, being ideal for renovation projects. Easy to cut and install, it features the new PressFit compression system, which uses cork’s natural compression trait to create a tight seal and stable installation. Wicanders Hydrocork is an amazing step in flooring. It is available in a 0.55mm wear layer with 4 sides of beveling, in a plank of 48 1/4″ x 5 11/16”.The Wicanders Hydrocork board is water resistant, so it will not swell when exposed to water. The same product can be installed in all rooms of a house or building, being also suitable for environments where low maintenance is a requirement. Wicanders Hydrocork with its 1/4″ thickness makes it the ideal choice for renovation projects. Very easy to cut and install, its strong and balanced structure reduces the telegraphing effect due to subfloor irregularities. 1. Hold the planks side by side. When you follow these two easy steps the cork core automatically compresses into the groove and then expands back out to its initial shape, making a tight seal. Wicanders Hydrocork floors, thanks to the acoustic insulation provided by cork, can easily cut noise within and between rooms.Comparing the walking sound between cork and laminate floors, tests confirm that cork floors have an exceptional result reducing the sound up to 53%. The natural thermal properties of cork make Wicanders floors very energy efficient, providing an optimal temperature all year round. When testing foot temperature in contact with four different materials, cork floors stand out as being the best solution to retain heat. Better than wood and by far better than vinyl or ceramic when it comes to avoiding cold feet! 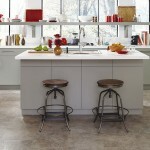 What other benefits do Wicanders cork floors have? Call the flooring experts at American Carpet Wholesalers of Georgia to find out. 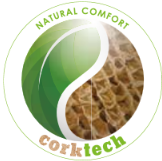 Did you know cork can benefit your walking and standing comfort? Promote body wellness? Or that is has superior impact resistance? Most important is that cork is sustainable. Cork comes from the bark of the cork oak tree. It is removed from the trunk by hand every nine years without ever damaging the tree. Every year a new bark grows making it a renewable and sustainable resource. 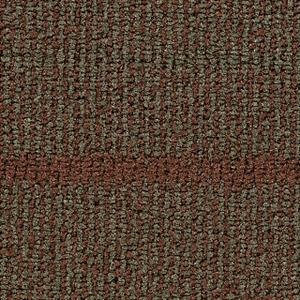 Wicanders Hydrocork is truly a gift from nature that is a great choice for flooring. Like we said before the flooring experts at American Carpet Wholesalers of Georgia can help you make the right decision in flooring, one that we hope will be for Wicanders Hydrocork plank. You can reach the ACWG team at (800)548-2706. Ask about the 25 year residential warranty and 15 year commercial application warranty. Click here for more reviews of the Bamboo & Cork Flooring products available at American Carpet Wholesalers or Click here to explore other styles of flooring.